The music video for “Find You” by MAN WITH A MISSION has been released! MAN WITH A MISSION’s Japan tour “Dog Day Tour 2017” ended in Okinawa on Thursday 7th December. The music video for “Find You” from their latest single “My Hero/ Find You” has been made public! “Find You” is the ending theme song for the current big hit film “Anonymous Noise”. Tanaka Tokyo sung this Japanese song with all his heart. Ayami Nakajo, who plays the role of the main character in the film, makes an appearance in the official music video. Having taken part in the music video for “Find You”, Ayami Nakajo told us that every time she watches the music video, she is overwhelmed with happiness for being given the opportunity to take part in such a beloved piece and that she enjoys the nostalgic feeling of the album. 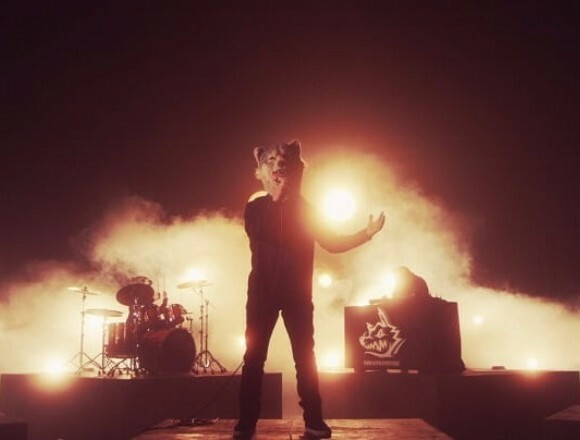 Check out MAN WITH A MISSION’s deep and powerful ballad music video for yourself! There has been a mistake regarding some of the performance dates. We kindly request you to regard the following changes and we sincerely apologise for any inconvenience caused. MAN WITH A MISSION write and compose major debut song for rock band “in NO hurry to shout;” with actress Ayami Nakajo on vocals! MAN WITH A MISSION release “Dead End in Tokyo European Edition” EP digitally nearing Europe tour! MAN WITH A MISSION conclude their final show with support from JIMMY EAT WORLD and announce joint US tour with them!